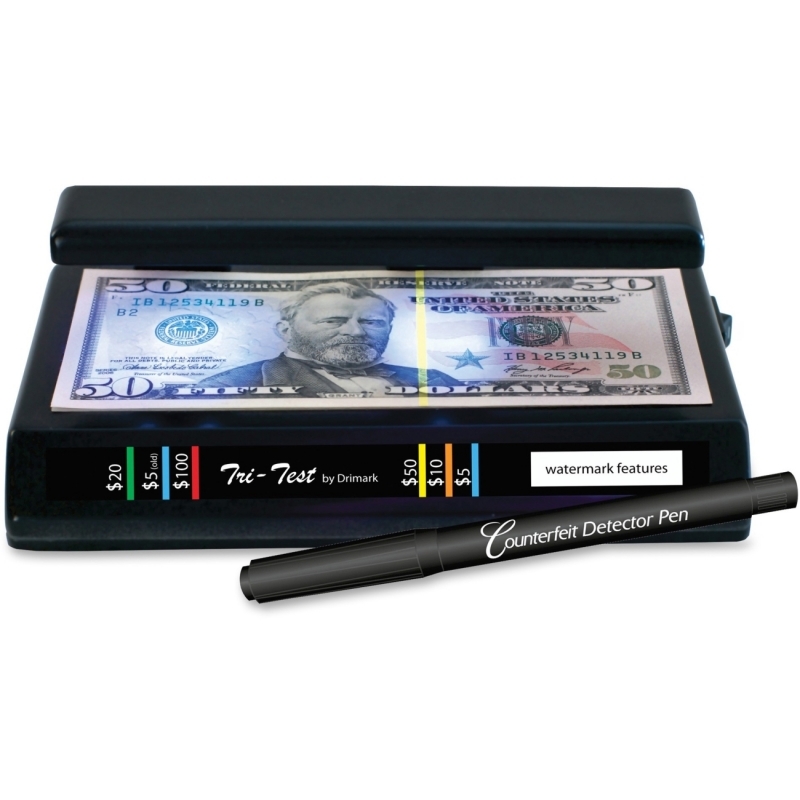 Handheld UV detector provides highly reliable protection against counterfeit money. 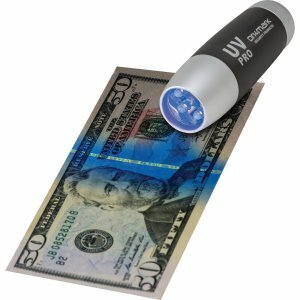 Its powerful UV light is strong enough to reveal the security stripes in bills even in the brightest ambient for error-free operation in any setting. Battery-operated design uses the included AAA batteries for complete mobility. 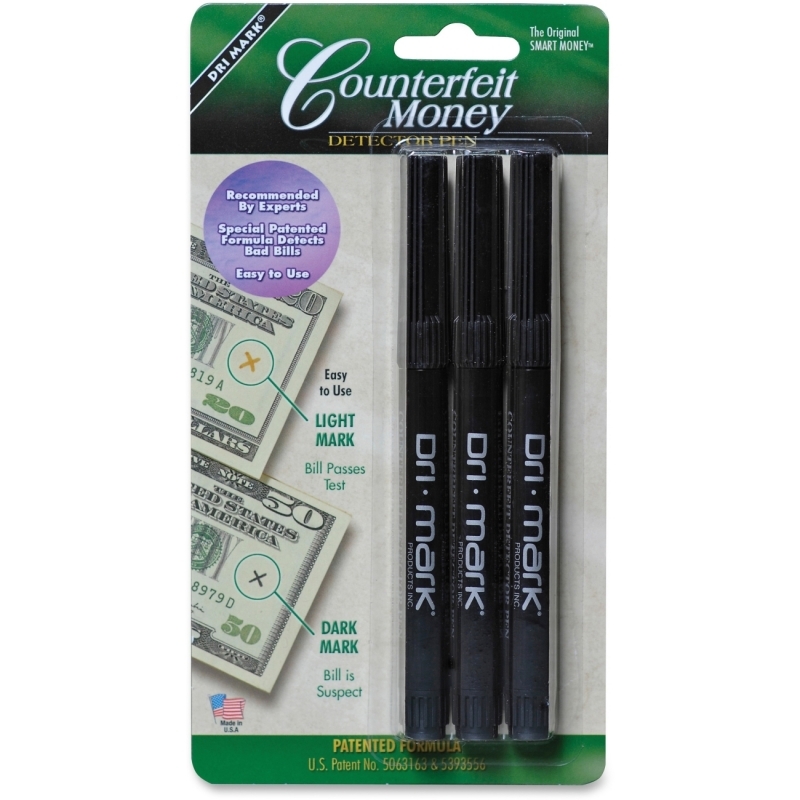 Plus, the versatile light is excellent for verifying IDs, passports, credit cards and more. 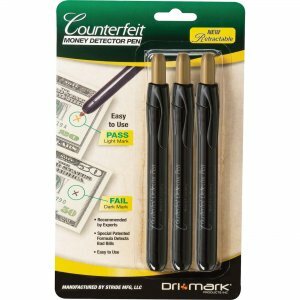 Handheld detector is perfect for use in retail environments, special events, valet services and more.